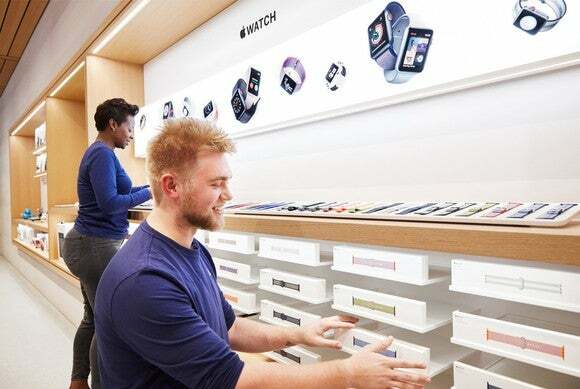 Apple (NASDAQ:AAPL) impressed investors this week with accelerating revenue and earnings-per-share growth.Highlighting Apple’s strong momentum, the company saw double-digit year-over-over growth in iPhone, services, and other products revenue. Apple also benefited from year-over-year revenue growth in every geographic segment, including an impressive 21% increase in Greater China — Apple’s third-largest geographic segment. But there’s more to the quarter than the figures included in Apple’s second-quarter earnings release. Investors can glean important insight about the company from Apple’s second-quarter conference call. Here are four key takeaways from the call. Apple’s other products segment enjoyed another quarter of strong growth in the second quarter, with segment revenue rising 38% year over year. This compares to 36%year-over-year revenue growth for other products in the first quarter, or47% growthwhen adjusted to exclude the impact of an additional week in the first quarter of fiscal 2017. With such strong momentum in other products recently, investors may be looking for more color on where this growth is coming from. In Apple’s second-quarter conference call, CFO Luca Maestri pointed to its wearables as the primary driver for this segment’s growth. This was another outstanding quarter for our wearables business, which includes Apple Watch, Beats, and AirPods, with combined revenue of almost 50% year-over-year. Looking at its revenue over the last four quarters, our wearables business is now the size of a Fortune 300 company. Along with its second-quarter results, Apple also announced a 16% increase to its quarterly dividend. The increase extends the company’s growing history of dividend increases, giving investors looking for income from Apple stock more reason than ever to bet on the tech giant as a dividend stock. Apple has now increased its dividend six times in less than six years. But there’s plenty more to come. “[W]e continue to plan for annual dividend increases going forward,” Maestri said. Up 31% year over year, Apple’s services revenue isn’t growing as fast as its other products segment. However, the segment accounted for 15% of Apple’s fiscal second-quarter revenue, easily making it the company’s second-largest segment after iPhone. Given the servicesconsistently fast-growing revenue and its importance to Apple’s overall business, investors are unsurprisingly watching the segment closely. One strong driver for services has been growth in subscriptions to Apple’s native services and subscriptions to third-party services through the App Store. Subscriptions continued to be a significant driver for services during the second quarter, Apple CEO Tim Cook said. Across all our services, paid subscriptions surpassed 270 million, up over 100 million from a year ago, and up 30 million in the last 90 days alone, contributing to the overall increase in services revenue. Given recent developments surrounding a possible U.S.-China trade war,Apple investors may be wondering how this could affect the tech giant’s business. After all, of Apple’s second-quarter revenue, 21% was in the company’s Greater China segment. But Cook doesn’t seem worried. I’m actually very optimistic. I think history shows us that countries that embrace openness and diversity do much, much better than the ones that are closed. And so, I’m a big believer that the two countries together can both win and grow the pie, not just allocate it differently. And so, that’s our focus, and I’m optimistic that — I don’t know every play by play that will happen, but over time, I think that view will prevail. While a U.S-China trade war could put some pressure on Apple’s gross margin, making it a development at least worth keeping an eye on, this isn’t something investors should be worrying about. Broad-based growth across Apple’s business, a healthy balance sheet, and a conservative valuation make this a small risk in the grand scheme of Apple’s overall business.